The High Fives Foundation is awarding 26-year-old Nick Fairall of Andover, N.H., an Empowerment Grant totaling $1,920 to bring the Olympic ski jumper to the CR Johnson Healing Center for 32 sessions of specialized rehabilitative treatments. On Jan. 5, 2015, Fairall was competing in the ski jumping World Cup in Bischofshofen, Austria, when he sustained a severe injury. During qualifications, Fairall had a great jump that would have qualified him for the round. However, due to the wet snow conditions, his skis stuck in the snow immediately upon landing. As a result, his center of gravity and balance were thrown forward — the impact folded Fairall in half. Medical personnel arrived immediately to his aid and rushed him to the local hospital where he underwent emergency spinal surgery within two hours of the crash. The CR Johnson Healing Center is a program service of the High Fives Foundation located in Truckee, Calif. The center is a 2,400 square foot training facility that provides resources for athletes in recovery from life-altering and sport related injuries. Resources include: physical therapy, acupuncture, Neru Kinetic Pilates, massage, active release techniques, restorative stretching, personal training and more. The Healing Center attracts over 250 visits monthly from High Fives athletes and community members. 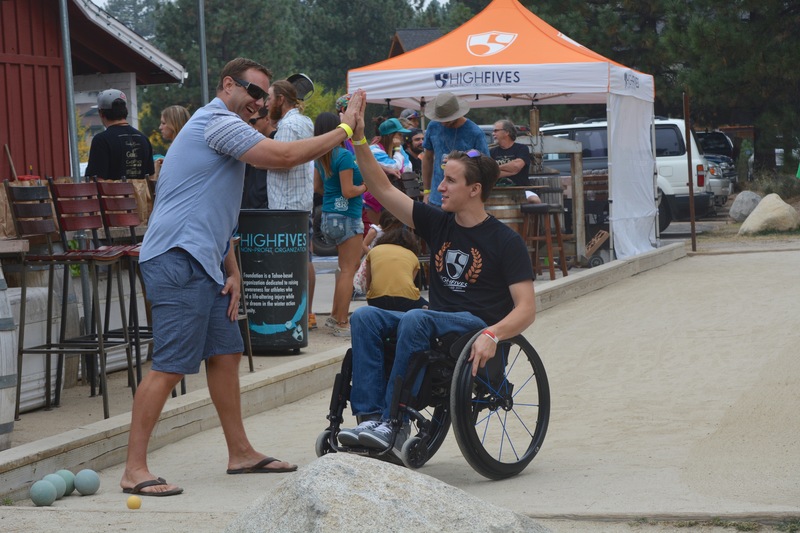 An emerging trend in 2015 is the number of High Fives athletes, like Fairall, who have moved to Lake Tahoe to continue their rehabilitation there. They are attracted by the environment, equipment and treatments offered at the Healing Center. 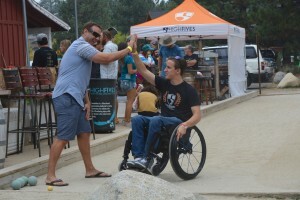 Since the High Fives Foundation’s January 2009 inception, the Empowerment Program Service has assisted 89 athletes from 20 states in nine respective funding categories which include: living expenses, insurance, travel, health, healing network, adaptive equipment, winter equipment, programs and stoke (positive energy, outlook and attitude). In 2015, the High Fives Foundation set a budget of disbursing $266,000 via board-approved grants through the Empowerment Fund. Since January, the Foundation has disbursed approximately $310,000 to 30 athletes, three organizations and three High Fives Foundation-hosted adaptive sports camps. In the month of September the High Fives Foundation disbursed $24,261 in Board-approved grants to eight High Fives athletes. This time the fastest female speed skier in the world is telling Vail resort guests to slow down. Guns are firing at Copper to prepare the U.S. Ski Team Speed Center and for the mountain's opening day.